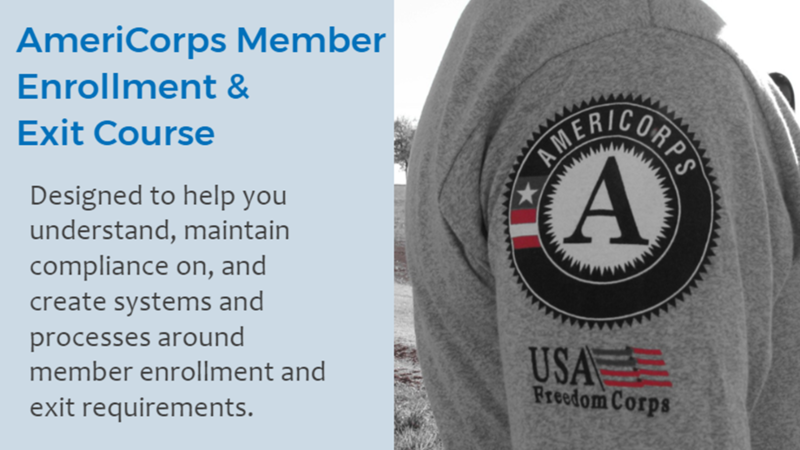 The AmeriCorps Member Enrollment and Exit Course is designed to help AmeriCorps staff understand and adhere to key timelines around the enrollment and exit of members; maintain compliance in key areas of member documentation related to member enrollment and exit; and create systems and processes around enrollment and exit to ensure you maintain compliance. Create systems and processes around member enrollment and exit. This course should be taken by any staff responsible for managing member enrollments, exits and files.